Reiss sisters; who's meer beautiful? Who is your favoriete black-haired character? Who is your favoriete brown-haired character? Which character can u most see yourself being vrienden with? Is Attack on Titan your favoriete show? Any time I enter a fandom and pick a favoriete character that I really love, I feel obligated to make one of these, 'why I like' articles. So here's why I like Annie so much. The regular characters will be there and just so u can enjoy it even meer u can make an oc character and I'll put it in the fanfic.I even made one for the fanfic myself. 1-whats his of her first and last name? 4-if u want them to be in a relationship with someone than with who? 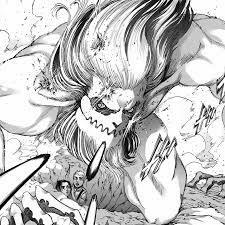 Not only Eren, but now Historia/Christa, is hunted! Not Titans, but door shorter, life forms! a comment was made to the poll: Reiss sisters; who's meer beautiful? a poll was toegevoegd: Reiss sisters; who's meer beautiful? a comment was made to the poll: Who is your favoriete brown-haired character? a poll was toegevoegd: Who is your favoriete black-haired character? a poll was toegevoegd: Who is your favoriete brown-haired character?